New York, NY – Over 200 guests gathered at the Consulate General of the Republic of Poland on November 20 at the Jan Karski Educational Foundation Annual Gala to celebrate the work of the foundation and honor the recipient of the 2014 Spirit of Jan Karski Award, Senator John McCain. Distinguished guests included the First Lady of Poland, Anna Komorowska; Ambassador of the Republic of Poland to the United States, the Honorable Ryszard Schnepf; Ambassador of the United States to Poland, the Honorable Stephen Mull; Ambassador Boguslaw Winid, Polish Permanent Representative to the United Nations; US Representative Carolyn Maloney (NY - 12th district); and host of the evening, Consul General of the Republic of Poland, the Honorable Ewa Junczyk-Ziomecka. Ambassador Schnepf congratulated the Jan Karski Educational Foundation for selecting Senator McCain as the recipient of this year’s top award, calling him a defender of democracy, human rights and freedom, who has taken action in exposing the troubling situation in Ukraine. Ambassador Schnepf stated that if the senior senator from Arizona had been in the White House – instead of President Roosevelt in 1943 – he believes that Senator McCain would have heeded Karski's report. Representative Carolyn Maloney praised McCain for his patriotism and courage, recounted her memorable visits to Poland – especially her most recent visit representing the American government at the recent opening of the Polin Museum of the History of Polish Jews in Warsaw. She called for strengthening ties between American and Poland and invited her constituents in the room to count –- and call – on her for help. She also recognized the parents of the 2013 recipient of the Spirit Award, the Honorable Samantha Power, Dr. Edmund Bourke and Mrs. Vera Delaney, honored guests seated on the first row. Chairman of the Board Andrzej Rojek introduced Senator McCain and drew the parallel between the Senator's captivity and torture in North Vietnam and Karski's experience. "Like Jan Karski, Senator McCain endured torture and, like Karski, he refused to cave in to the demands of his captors." Senator McCain delivered his acceptance remarks through a pre-recorded video, in which he expressed his gratitude for the honor and appreciation for Jan Karski Educational Foundation’s efforts to promote the legacy of a great hero. "I would like to take this opportunity to speak with you about Jan Karski, an extraordinary man who risked his life to tell the world about the conditions in Nazi-occupied Poland during World War II.... He embodies the true spirit of courage and perseverance that is so necessary to the triumph of good over evil.... Let his legacy compel us to stand by our moral responsibilities and say with conviction, 'never again.' "
The event was covered by FOX News anchor Eric Shawn. See the report here. Wanda Urbanska, President of the Foundation, recognized the many and ongoing contributions of outgoing Consul Ewa Junczyk-Ziomecka in promoting Jan Karski. "We began our work for Karski in 2011 only one year into her term here as Consul General. Tonight's event marks the end of her tenure here as Ewa is returning home to Warsaw in 32 days.... We're counting on you to continue your work for Karski in Poland." Serving as emcee for the evening, Urbanska also enumerated the many accomplishments of the Foundation in the realm of theater, the traveling exhibition, conferences, a forthcoming comic book and much more. She called on Foundation supporters to refuse to sit on the sidelines. "We need you, like Karski – to step up and help – refuse to be bystanders, assuming others will do the heavy lifting." Dawid Szurmiej introduced Jewish songs in Polish and Yiddish performed by members of the Ester Rachel and Ida Kaminska Jewish Theater in Warsaw. Guests mingled, enjoyed delicious food provided by the Consulate and supported the work of the foundation by participating in the silent auction of lovely art work, featuring Polish and Jewish pieces. Click here to see what items still remain for purchase. 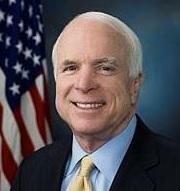 Senator McCain's acceptance speech was captured on a video. The event was sponsored by Centorr Vacuum Industries; Gwozdz Law Firm; Inglot Cosmetics; William J. Nareski; Polish Supplementary School Council, Sabaj Law P.C; Robert Billingsley, Edmund Bourke, John Czop, Cheryl Fishbein, Robert Lewton, Chester Lobrow, Michał Mrożek, Paulina Rogawski, Andrzej Rojek, Małgorzata Rojek, Leonard Slotkowski, Krzysztof Zakrzewski, and Krzysztof Rostek.